Wellington’s NZ$6.5 million Hutt Road Cycleway upgrade broke ground on Wednesday. It is the first project in Wellington City’s refreshed Urban Cycleways Programme. The existing shared path along Hutt Road was installed in 1995 and today is the busiest cycling route into the central city. The upgrade is designed to provide a wider dedicated cycleway, alongside a separated pedestrian path. 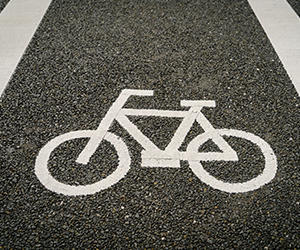 The upgrades will improve cycle route the safety and will connect cyclists with a wider cycling network. The Hutt Road Cycleway is a part of the refreshed Wellington Urban Cycleways Programme and is jointly funded by Wellington City Council and the Government. The Government is investing $333 million nationwide for cycleways projects, the biggest investment in cycling in New Zealand’s history.